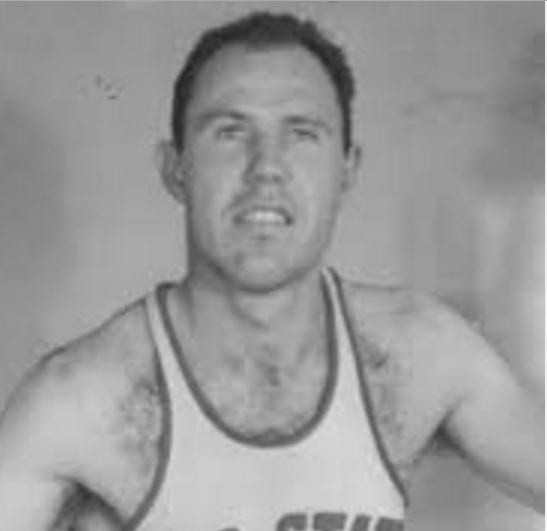 Price Brookfield was a native of Friona, Texas who went on to become a consensus All-American in 1942 at West Texas State. The following year he played professional basketball with the Rocchester Royals, one of the premier independent teams in the country. In January of 1944, he enrolled in a Naval training program at Iowa State University where he joined the basketball team. At 6-4, Brookfield, an extremely skilled and versatile player who could play all three positions, roamed the floor with grace and agility. His addition to the squad propelled the Cyclones to the Big Six Conference championship and advancement to the semifinals of NCAA tournament. After his military duty, Brookfield returned to professional basketball for six more seasons. Emery Price Brookfield Born: May 10, 1920 Died: Apr 17, 2006 Hometown: Friona, Tex.